Nearly half the population of Guatemala is indigenous, yet they are three times more likely to live in extreme poverty than non-indigenous people. That's roughly eight million people struggling to scrape together a living for their families. And if you're an indigenous woman, it gets even worse. According to the Thomas Reuters Foundation, "An indigenous woman in Guatemala is more likely than all her fellow citizens to be sick, illiterate, poor, and overwhelmed by too many unplanned children." >>> Click here to help indigenous women in Guatemala kick-start businesses. Dona Juana Jacinto Gallego is one of those indigenous women. She lives in the rural community of Xonca, six kilometres from Nebaj. At age 28 she already has four children aged 12, eight, three, and just eight months old. As a stay-at-home mom, she completely depended on her husband to provide everything for the family. And while she was grateful to her husband for his hard work, she wasn't satisfied with the way things were. Dona Juana had a quiet ambition to do more to help support her fragile family. But fear held her back - fear of what neighbours and other family members might say if she bucked the status quo. As Food for the Hungry (FH) gained trust in her community, however, Dona Juana felt emboldened to join a Savings and Loans Group. There she listened intently to discussions about personal economic initiatives and the benefits they can have for communities struggling in poverty. Little by little, she gathered her courage. The first business Dona Juana timidly launched was selling pre-packaged snacks within her group. When she saw that was going well, Dona Juana added bags of fruit. Through the experience of earning money, Dona Juana began to realize that she - a poorly educated, "unskilled", indigenous woman - could actually help her husband with the costs of the home. 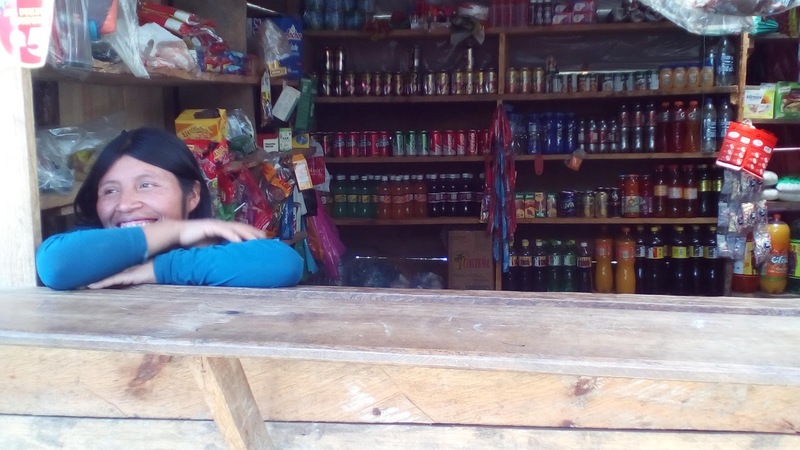 With this new revelation, she decided to take out a loan of 2,000 Quetzals ($263 USD) to start a corner store selling items she knew her community used on a daily basis, as well as a small thrift store on the side. Her businesses were immediately successful. Feeling encouraged, Dona Juana is already making plans to diversify her businesses even further in the future. "I plan to continue building my businesses and eventually start a hardware store. I'm really pleased with my success, and am happy to see my daughter learning the business by watching the stores when I have meetings to go to." Dona Juana attributes the change in her perspective on her role in the community and in her family to the discussions they had in her Savings Group. Not the discussions about economic initiatives and finances, but the discussions on excellence, leadership, confidence, stewardship, and personal relationships. Dona Juana's entire worldview was transformed. She no longer sees herself as one of the eight million extremely poor indigenous people in Guatemala. Rather, she sees herself for who she really is - an incredible woman of potential, loved and valued by God. Because of the initial training and follow-up coaching given by FH staff members, Dona Juana is now a successful business owner. Help kick-start more businesses for women like Dona Juana.